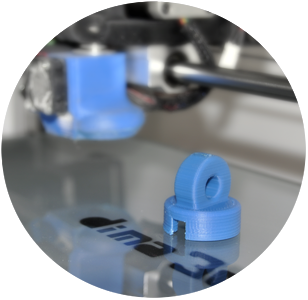 We have a 3D printing service aimed at both businesses and individuals. Our maxims are speed, quality and personalized customer service, helping and advising throughout the printing process. We work for companies in different sectors such as automotive, machining and industrial design making prototypes and production in small series. 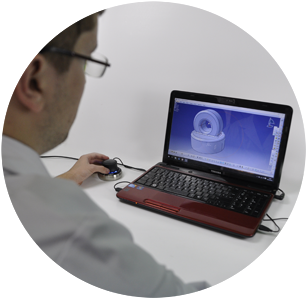 Our obsession is to get our customers to reduce time and costs in the development of parts. Using our technology as an alternative to other traditional manufacturing methods. If you have the model of the part simply send it to us in any supported format (STL, OBJ, PLY). We can also study file format conversions. Don’t worry if you don’t have the means or knowledge of 3D modeling, our professional team will design the piece for you. We just need the planes with the corresponding measures or even the original piece if you don’t dispose of them. We can create models to rebuild damaged or broken parts. We adapt any 3D model for proper printing. 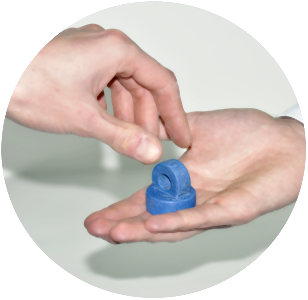 We use our own top-quality and versatile 3D printers in the manufacturing process. We generate the piece with layer widths between 50 and 300 microns. 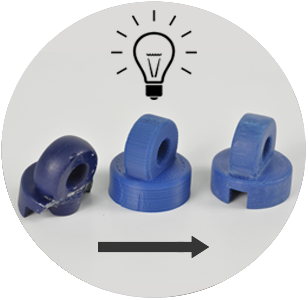 We give you the possibility to print in any color and with a wide range of materials, such as PLA, ABS, Nylon, HIPS, flexible, wood, ceramics and other composites. Once the parts have been manufactured, you can choose to either pick them up in our office or receive them by courier in your address. If you want to print your model contact us using the form below or call us at +34 983 13 00 05. If you have the 3D design, please attach it in the form in a compatible format (STL, OBJ, PLY). If you don’t have the model don’t worry, send us the planes of the part or even the physical object and we will design it and print it. We have a team of professionals who will guide you in the process of manufacture of the model by selecting the material that best suits and printing settings appropriate to the scope of the piece.